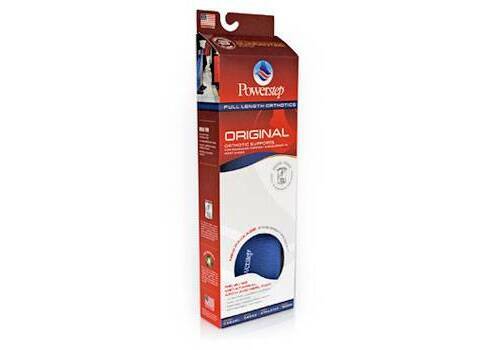 Powerstep's original, fundamental design from which all others were developed. Encapsulated design with a firm but flexible support shell, built-in arch support and heel cradle for increased stability. Moderate, dual-layer cushioning. Ultra-thin, low profile design fits in most casual, dress and athletic shoes. Ideal for preventing and alleviating pain associated with plantar fasciitis, metatarsal pain, heel or arch pain and discomfort, mild to moderate pronation and sore/aching feet.